- Ian McEwan, "Conversations", 21-22 May 2018 - Villa Gillet and ENS de Lyon. Edited version published by Etudes britanniques contemporaines 55 (2018). 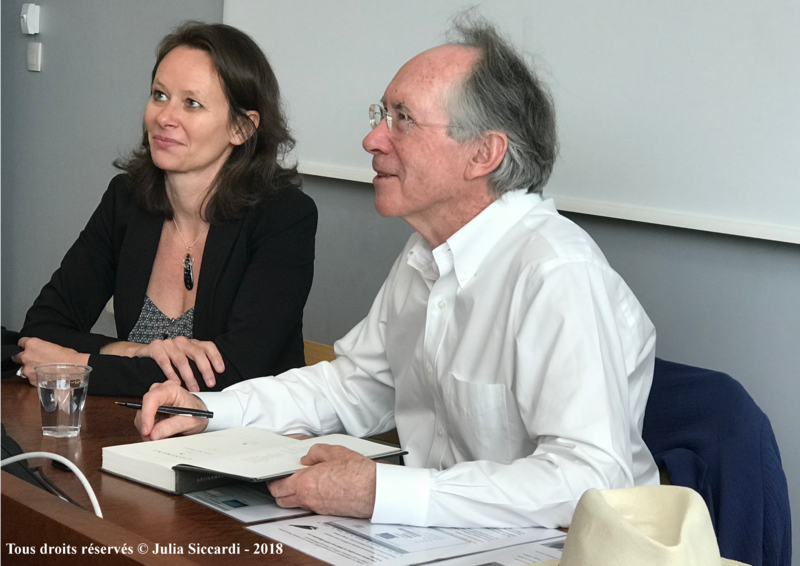 22 May 2018, 10h30-12h Interview with Ian McEwan on Atonement École Normale Supérieure de Lyon - Video of the event on "La Clé des langues"
Edited version published by Études Anglaises71.3 (July/Sept. 2018): 332-340. - Salman Rushdie, "A Conversation", 30 May 2017. Villa Gillet, Lyon. Edited version published in The Journal of Postcolonial Writing 54.2 (2018): 268-283. 2016. ENS de Lyon / Yale University. Edited version published in Etudes Anglaises 69.3 (2016): 321-333. - Jonathan Coe. "Humour, Comedy and Satire", 15 October 2015. ENS de Lyon. Edited version published in Etudes britanniques contemporaines 51 (2016). - Jonathan Coe and Pascal Arnaud, "Rencontre autour de B.S. Johnson", 4 June 2015, Pompidou Center, Paris, Festival "Air de jeu". - Kevin Powers, The Yellow Birds and Poetry, 21 May 2014, Ecole Normale Supérieure, Lyon. - Jonathan Coe, Expo 58, 13 February 2014, Institution des Chartreux, Lyon. - Ben Okri, "The Famished Road", 18 October 2012, ENS de Lyon. - Jonathan Coe, "Celebrating B.S. 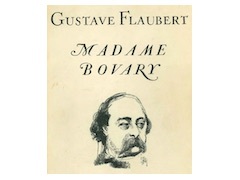 Johnson", 12 October 2012, Librairie Ptyx, Bruxelles. - Jonathan Coe, "A tribute to B.S. Johnson", 3 June 2012, Comédie du livre in Montpellier. - David Lodge, "A Man of Parts", 2 June 2012, Comédie du livre in Montpellier. 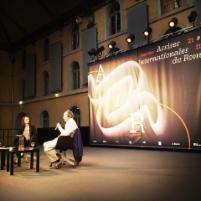 - Abha Dawesar, "Hybridity", 7 October 2010, ENS de Lyon. 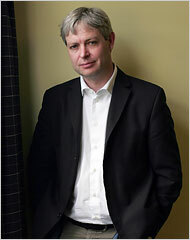 - Jonathan Coe, The Terrible Privacy of Maxwell Sim, 1 June 2010, London. - Graham Swift, Making an Elephant: Writing from Within, 30 April 2009, Sorbonne, Paris. - Anita Desai, In Custody, 18 March 2009, ENS-Ulm, Paris. 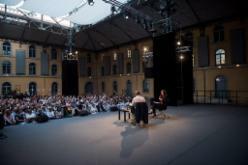 - Colum McCann, Zoli, 5 May 2008, Sorbonne, Paris. - Jonathan Coe, The Rain Before it Falls, 17 April 2008, Sorbonne, Paris. - Will Self, The Book of Dave, 15 December 2007, Sorbonne, Paris. 15 et 16 septembre 2007, Rouen. - Michael Collins, The Secret Life of E. Robert Pendleton, 23 March 2007, Sorbonne, Paris. - Graham Swift, Tomorrow, 17 March 2007, Sorbonne, Paris. - Breyten Breytenbach, Dog Heart, 22 May 2006, Sorbonne, Paris. - David Lodge, « A Mixed Blessing: A Writer’s View of Literary Prizes », 29 April 2006, Sorbonne, Paris. - Kazuo Ishiguro, Never Let Me Go, 6 March 2006, Sorbonne, Paris. - Sean O’Reilly, The Swing of Things, 12 January 2006, Sorbonne, Paris. - André Brink, « The itinerary of a book in the English language », 18 March 2005, Sorbonne, Paris. - Alka Saraogi, Kalikatha via bypass and Over to You Kadambari, 10 March 2005, Sorbonne, Paris. - Hanif Kureishi. My Ear at His Heart and When the Night Begins, 26 January 2005, Sorbonne, Paris. - David Lodge. Author, Author, 11 January 2005, Sorbonne, Paris. - Jennifer Johnston. The Gingerbread Woman and This is not a Novel, 19 November 2004, Sorbonne, Paris. - Jane Rogers. New Writing 11, 22 October 2004, Sorbonne, Paris. - Matthew Kneale, English Passengers, 19 March 2004, Sorbonne, Paris. - John McGahern, That They May Face the Rising Sun, 10 September 2003, Paris. - Dennis Lehane, ShutterIsland, 4 September 2003, Paris. - Hanif Kureishi, The Body and Dreaming and Scheming, 28 April 2003, Sorbonne, Paris. - Beryl Bainbridge, According to Queeney, 25 February 2003, Sorbonne, Paris. - Arundhati Roy, The God of Small Things, 4 December 2002, Sorbonne, Paris. 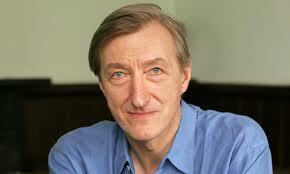 - Julian Barnes, Flaubert's Parrot, 14 November 2001, Sorbonne, Paris. - Michael Collins, The Keepers of Truth, 11 May 2001, Sorbonne, Paris. - Tim Parks, « Writing and translating », 13 October 2000, Sorbonne, Paris. - Kazuo Ishiguro, The Remains of the Day, 9 December 1999, Sorbonne, Paris. - Alan Sillitoe, The Loneliness of the Long Distance Runner, 4 February 1999, Sorbonne, Paris. - Margaret Atwood, The Handmaid's Tale, 17 November 1998, Sorbonne, Paris. - Hanif Kureishi, The Buddha of Suburbia, 19 January 1998, Sorbonne, Paris.